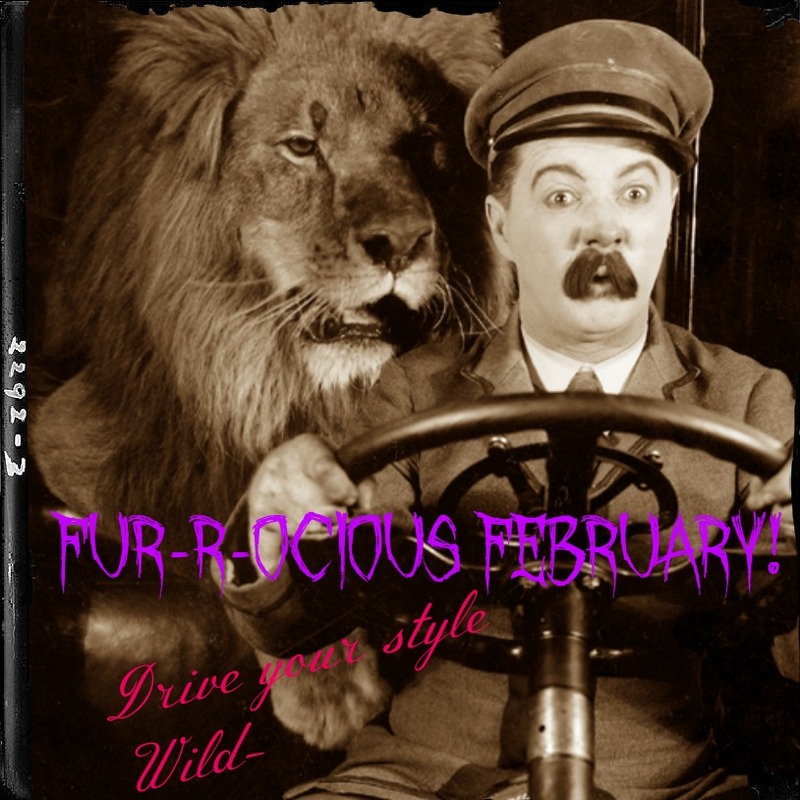 Frisky February- the style hits keep coming! 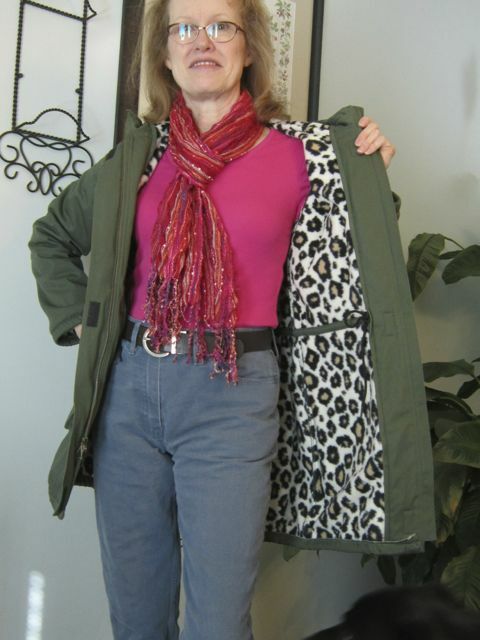 I’m so excited to keep seeing more and more animal print across the interwebs- you are all some stylin’ beasties! Check out Sarah with her 2nd make No! 3rd make- I count her adorable mouse infinity scarf too! 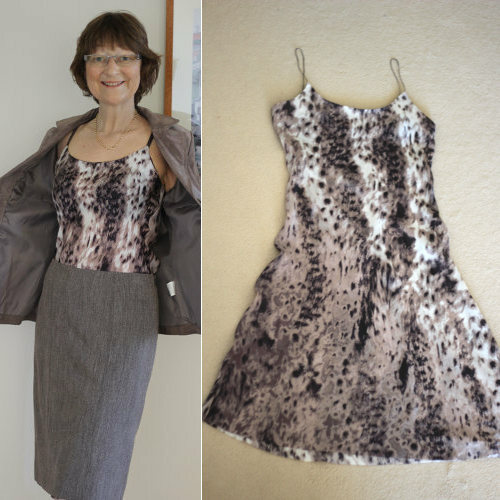 One of my fav Pattern Review gals to watch for is Dilliander– she does some lovely things- I’m partial to her corporate animal outfit! 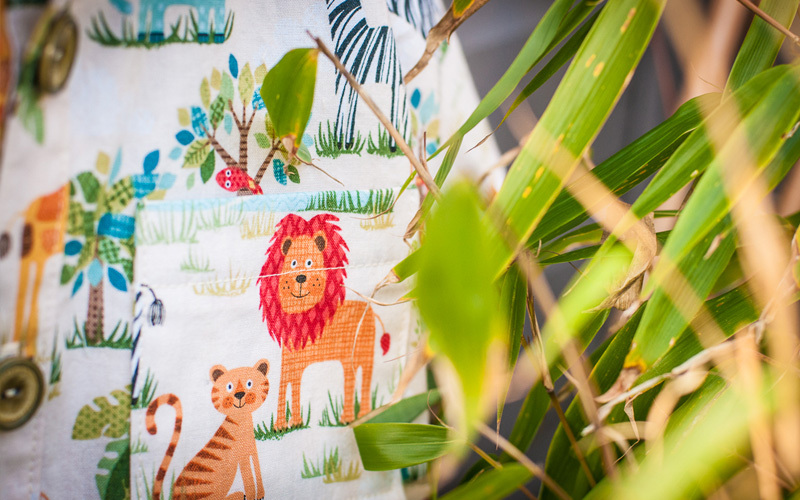 Sewmanju– pack this up, necklace and all and send it hither! Thank you. I’ll be waiting. I can’t think of anything more appropriate that a Spotty Dog in a spotty ensemble, can you? Just seeing her makes me want cocoa and a good book! OK,a kind of trashy book….. This next pic is a teaser- U&mii is at it again with another grrrring make! 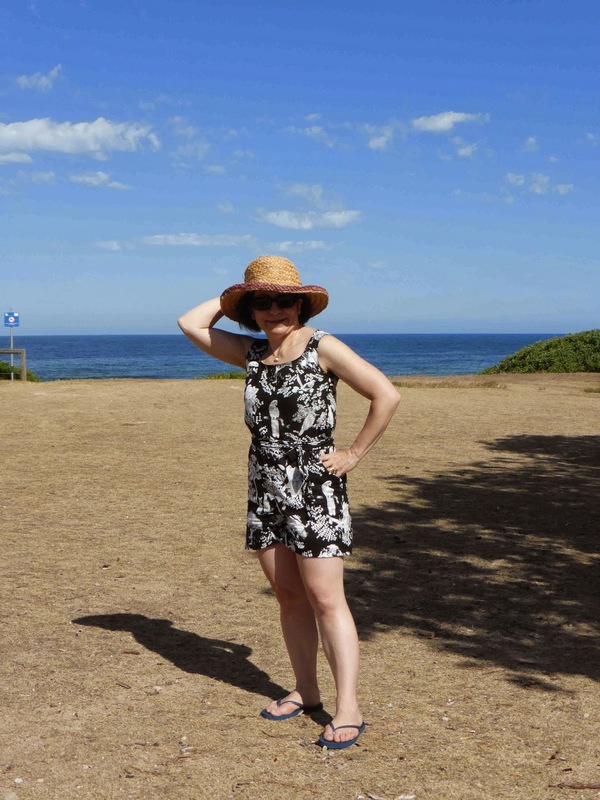 Maria is helping me to stop fearing jumpsuits! I already loved predators- know I love them at play! A lining of great friskiness! Go Beth– I love the unexpected pop of this! Now. There are 3 other lovely makes on the flickr group that I don’t have links to and I’m seriously tech challenged at pulling pics off of flickr- so go see these pretties!!! 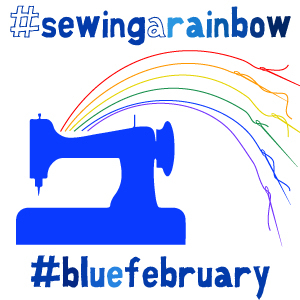 Now I’m off hunker down in the sewists Bordello to work on my Blue February make! photo credits: Sarah, little me, meadhawg, dilliander, pattern review, Sewmanju, Spotty Dog Social Club, U&m11, Marie, Beth. All photos remain the property of their original owners! Can’t wait to see what you call March!? 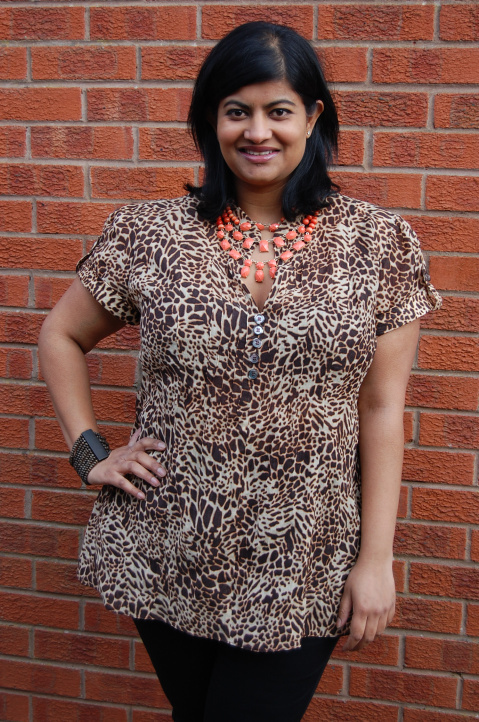 All of this animal print is gorgeous – I have some in stash so I must join in. So glad you’re extending this. The creations are incredible. And I’m stealing Manju’s first. I called dibs yesterday (if only in my own head). I’m still waiting to be able to wear my new jungle wrap without two turtlenecks and three pairs of tights under it. Maybe if we crack 35 I’ll get out there for a photo shoot. What we do for art!!! 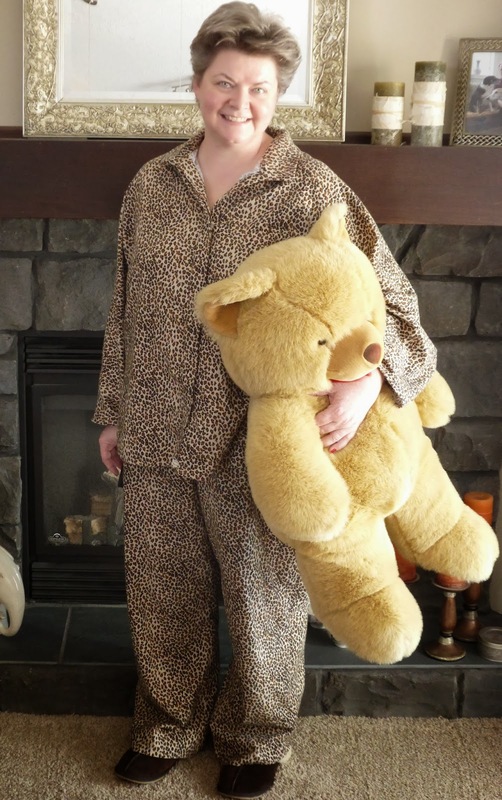 ditto for me….I have so much animal print….I really need to do something. I love seeing all the clothes! 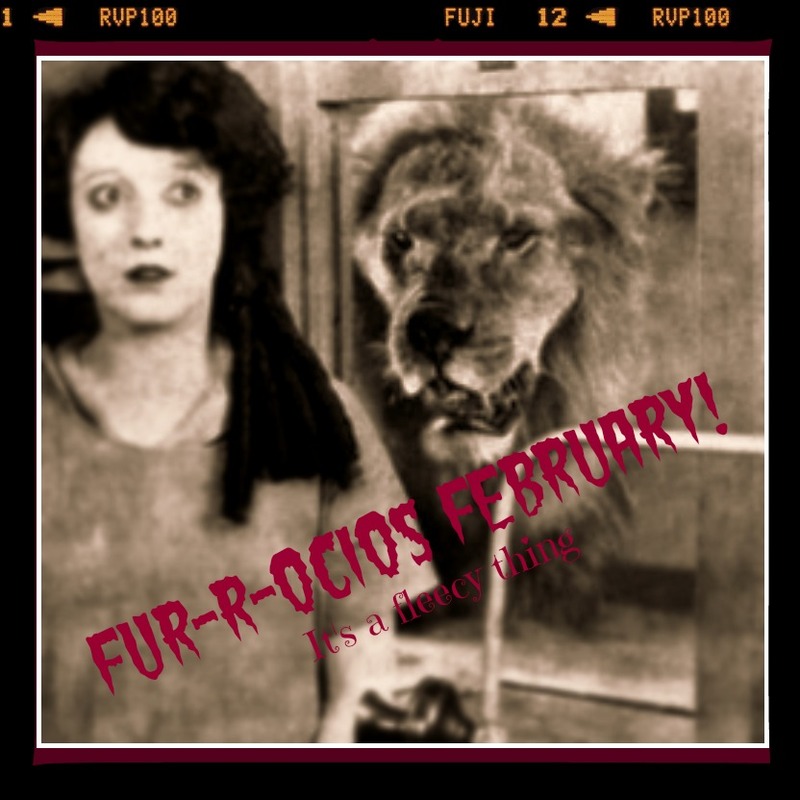 So can I count on you for Marsupial March- a salute to foolish pockets???? I must rename it- i think they look foolish on me- but I cant have my driveway blocked by 100 angry jangaroos with picket signs!!! Love the Flickr photo album! So many creative women showing their fierce side! 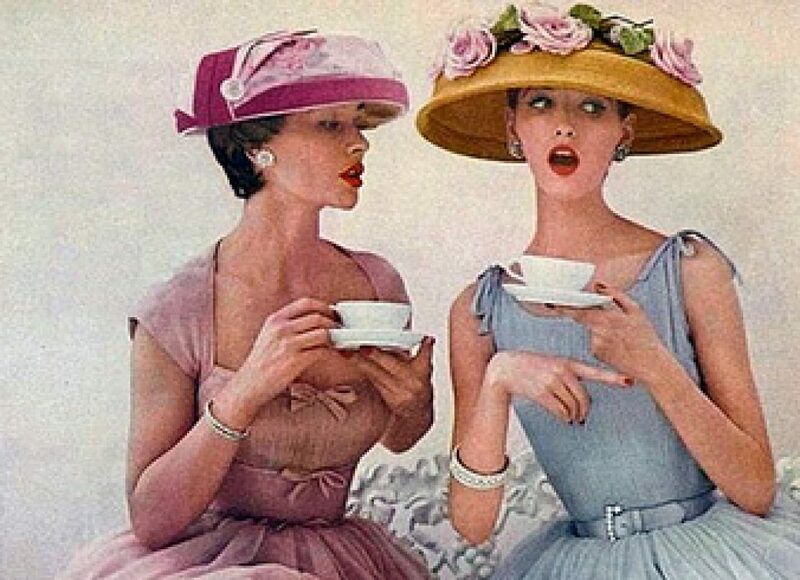 You have given so many sewers permission to just go nuts and break oiut of the safe and sane fabric choices…Brava! Marsupial March sounds very appropriate. Love your work Anne.